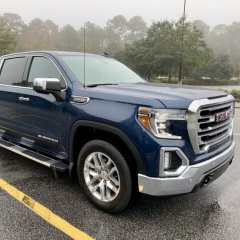 I bought my 2019 Sierra SLT in DEC 2018, no issues with the NAV until this past Tuesday. I got the SD Card Error message. I did not even know where the SD card was until this error....so nobody removed it. I had an appointment at my dealership yesterday, and wouldn't you know it...it started working intermittently. When it did load maps and function, it could get it to fail and show the error message again by tapping on the inside of the center console box right in front of the reader / USB ports. I was able to do this several times and once in front of the technician who will be taking it apart to diagnose / repair / replace next week when I am out of town. He mentioned a GM bulletin on this issue, the card reader (probably not public yet). I hope this helps anyone who has this issue in the future. I will update when the work order is complete. Stopped shortly after driving off the lot on a rainy day last month to snap these pics. 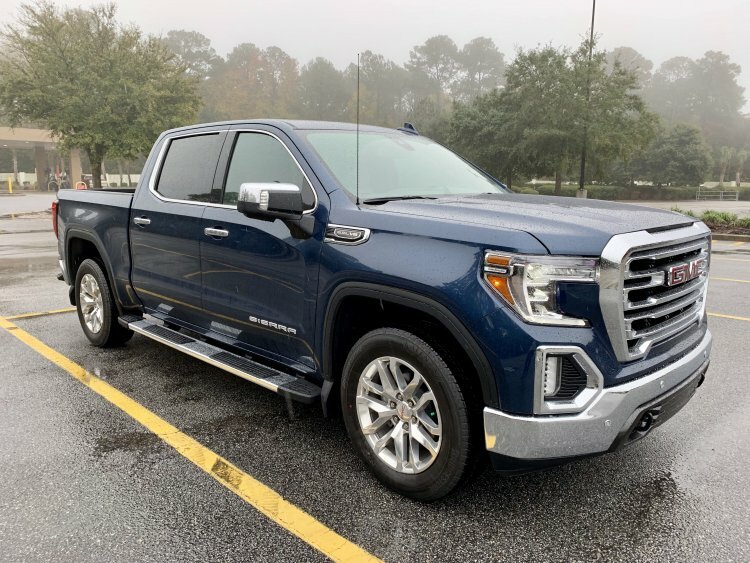 Pacific Blue, Stock SLT with premium package. Love the truck so far!